1. Elemis Pro-Collagen Cleansing Balm is basically a spa in a jar — its luxurious rose and mimosa waxes are infused with nine nourishing essential oils (Nine! Hello, elderberry!!) to gently lift away makeup and dirt, so your skin feels soft as a baby's bum. Use it daily as a cleanser or weekly as a facial mask! The full size comes with a cleansing cloth that you use to wipe the balm off — while it's warm and damp of course! 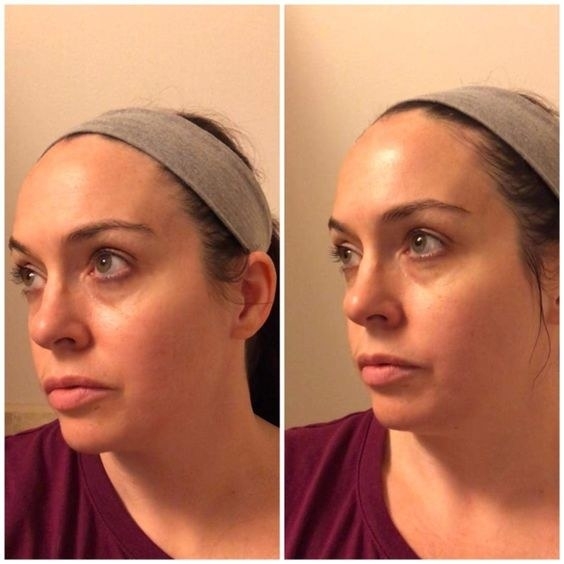 The photos are a before-and-after situation for the reviewer's first ever use — you can actually see how the balm brightened her face! And check out our best picks for makeup removers on BuzzFeed Reviews! 2. Skyn Iceland The Antidote Cooling Lotion douses your oily/stressed-congested/redness-prone skin in a cooling, minty dose of hydration that feels akin to standing next to an Icelandic waterfall — and I'm not just saying that, it actually contains Icelandic kelp in its formula (as well as aloe vera, meadowsweet extract, and white willow bark). Read a BuzzFeeder's full review for more deets (#1)! 3. 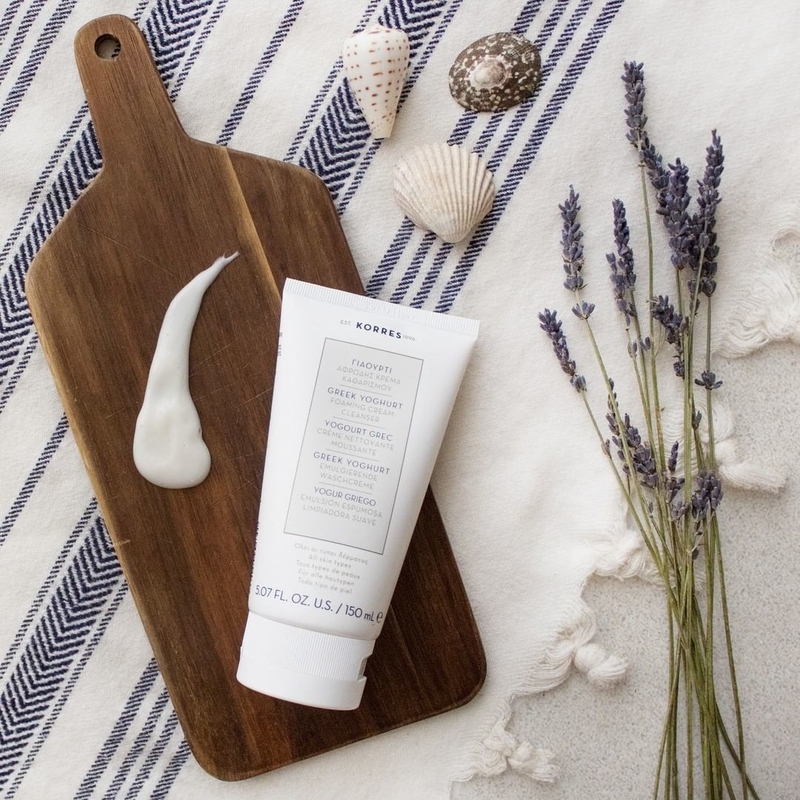 Korres Greek Yoghurt Foaming Cream Cleanser fortifies your skin with essential proteins and amino acids, while honeysuckle and amaranth seed extract make sure your skin feels nothing but soothed after the fact — all while actually cleansing your skin (duh) and smoothing out those darn wrinkles! You know what you and this cleanser have in common? You're both SNACKS. 4. Tony Moly The Chok Chok Green Tea Watery Cream is a ridiculously light gel-based cream that contains over 63% fermented green tea extract that retains moisture all day and night by forming a thin layer on top of dry skin — so, exactly what your skin needs this winter. 5. 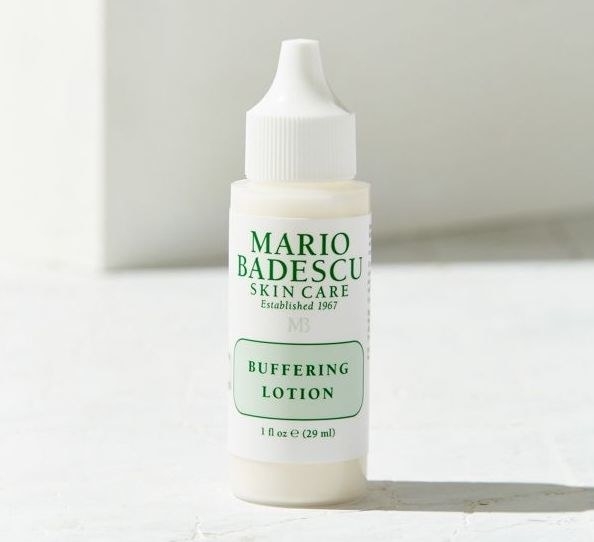 Mario Badescu Buffering Lotion shrinks cystic pimples like no one's business with its potent blend of B vitamins, amino acids, and anti-inflammatory herbal extracts for fast healing. 6. Paula's Choice Skin Perfecting 8% AHA Gel Exfoliant helps shed built-up layers of dead skin without any mess (you don't rinse it!) 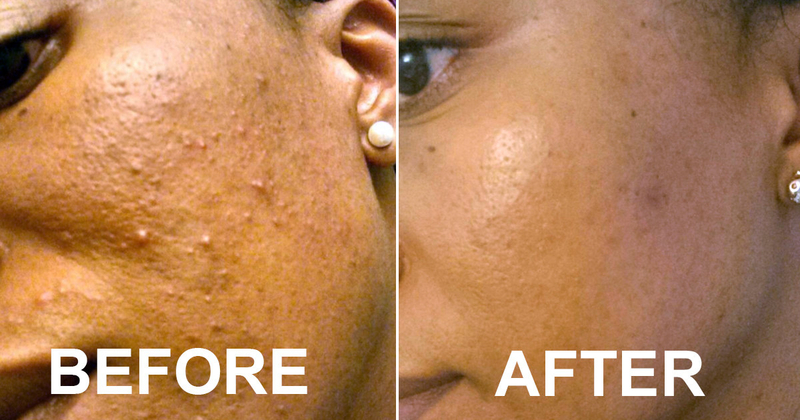 without feeling overly abrasive (it has a pH range of 3.5–3.9) — and it promotes firmer, clearer skin. 8. Mad Hippie Antioxidant Facial Oil works non-comedogenic, non-GMO, and vegan wonders on your skin by delivering ample hydration, minimizing the appearance of acne scars, neutralizing free radicals, and evening out your skin tone — mix it in with your moisturizer, and BAM, instant skincare magic! 9. 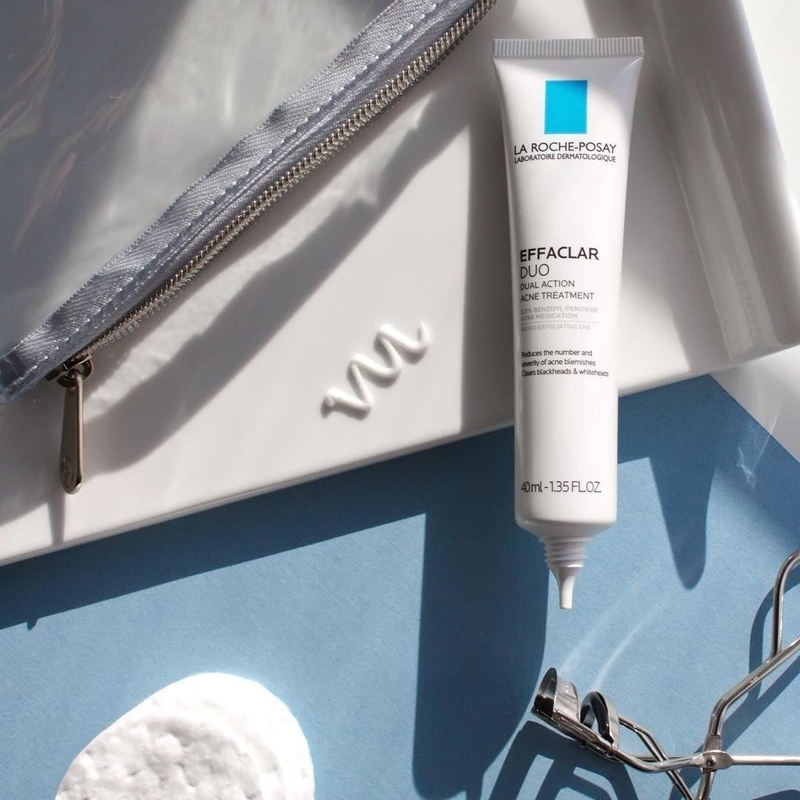 La Roche-Posay Effaclar Duo Dual Action Acne Treatment Cream is your oil-free acne fighting superhero with a potent formula of benzoyl peroxide and micro-exfoliating LHA (lipohydroxy acid) to penetrate clogged pores and clear all of those pesky blackheads and whiteheads. Cystic acne, who? 10. Peter Thomas Roth Pumpkin Enzyme Mask exfoliates with pumpkin enzyme, AHA, and aluminum oxide crystals so you get not only one method of exfoliation, but three — manual, chemical, and enzymatic. We only want the best results, k? 11. 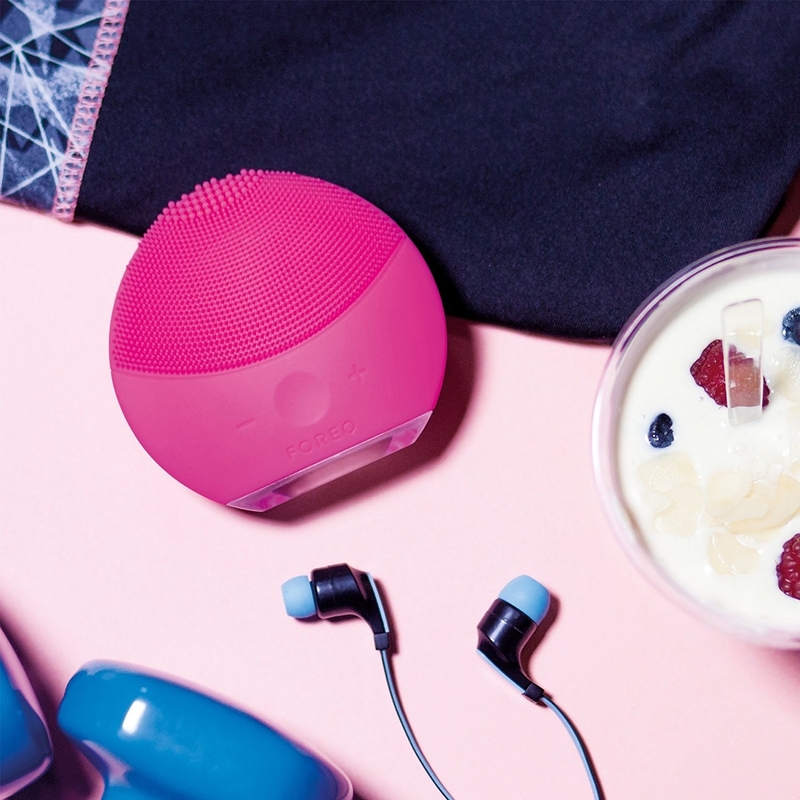 Foreo Luna Mini 2 Facial Cleansing Brush keeps your face looking fresh by digging deeper and gently scrubbing ~all~ of the gunk off of your face — plus, it just feels so damn satisfying, so it's really a win-win situation. Read a BuzzFeeder's full, in-depth review for more deets! 12. Laneige Water Sleeping Mask soothes and intensely hydrates overnight — plus, it basically lulls you to sleep with its Calming Sleepscent™, which is infused with relaxing ingredients like orange flower, rose, and sandalwood. This mask feels soooooo good — I love the gel-like consistency, and I feel like my skin drinks it up immediately! 13. 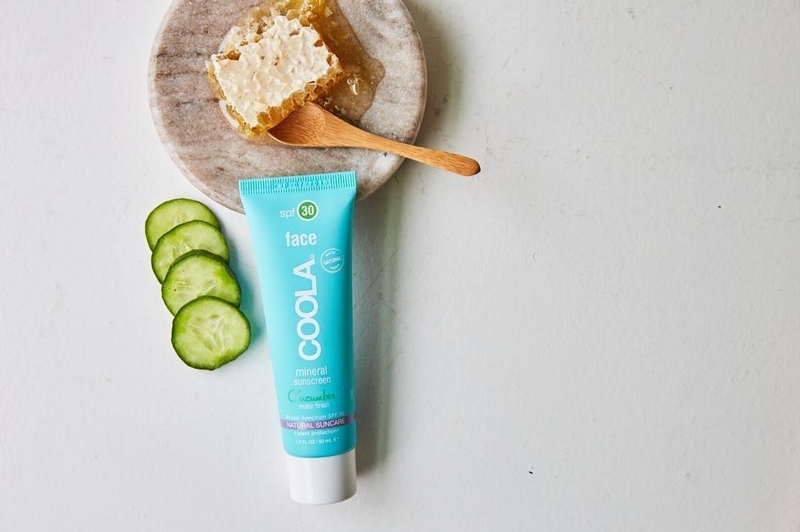 Coola Mineral Face SPF 30 Sunscreen Matte Tint protects your lovely face with a whipped mousse-like formula that *fully* rubs in, doesn't leave a white cast, and dries down to a matte, never-greasy finish that's perfect for any makeup you might put on afterwards — and it's especially clutch if you're sensitive to chemical-based sunscreens, so apply (and reapply) away! Promising review: "Over and over again I try to find a cheaper zinc-based facial sunscreen, and I always come back and spend all my money on this one. The texture of this sunscreen is DIVINE and I have yet to find another sunscreen like it. 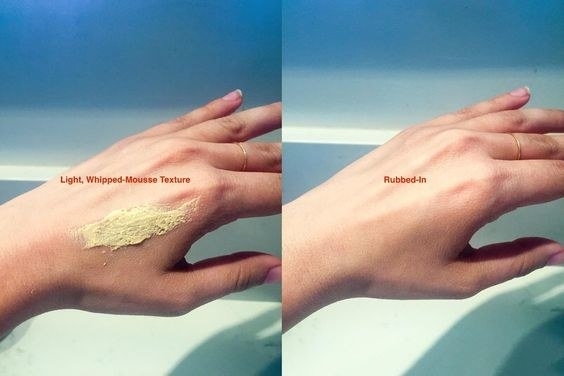 You have to shake it well for the first few weeks, but it comes out like a light whipped mousse and feels velvety to the touch as you apply it. My most common problem with zinc-based facial sunscreens is that the ones that rub in nicely enough to not leave you white and chalky always made my face way too greasy. This is not the case with this sunscreen. It has a true matte finish and primes my face perfectly if I am adding another layer of tinted moisturizer/foundation. I have a photo allergy to most chemical-based sunscreen ingredients, so I am therefore limited to physical sunscreens like zinc and titanium dioxide. It is really, really hard to find ones that rub in fully, don't leave a white cast, and don't contain nano-particles (which don't have enough research on them for me to trust). This one is the only one I have found that does it all for me." —Kayla B. 14. Eau Thermale Avène Skin Recovery Cream calms your skin THE HECK DOWN whenever it's feeling sensitive and irritated — its fragrance-free, non-comodogenic, and hypoallergenic formula powered by thermal spring water works wonders on any bad skin situation you can think of. 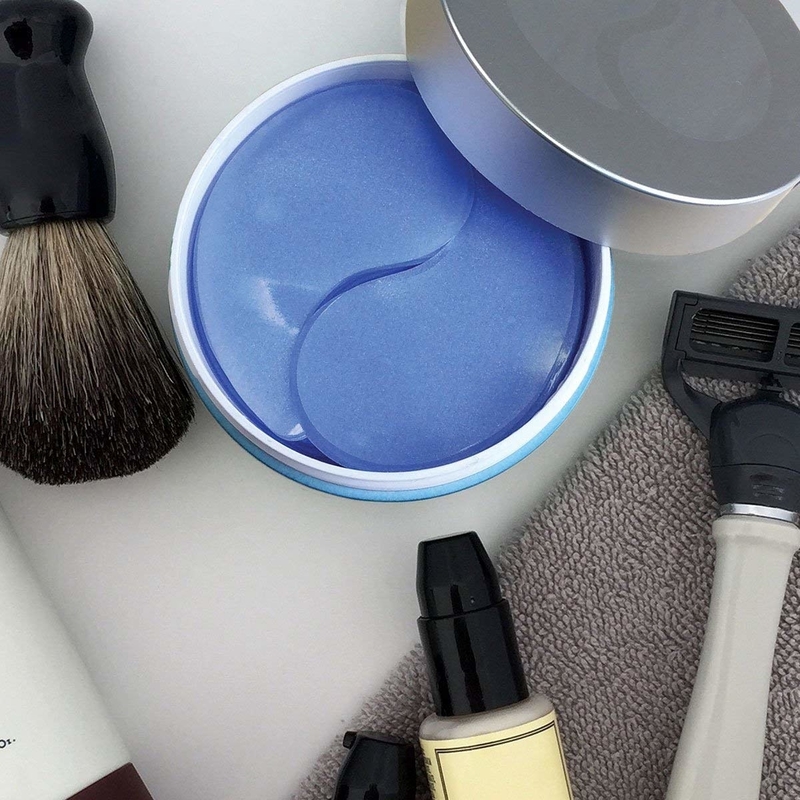 No wonder people swear by French beauty products! 15. 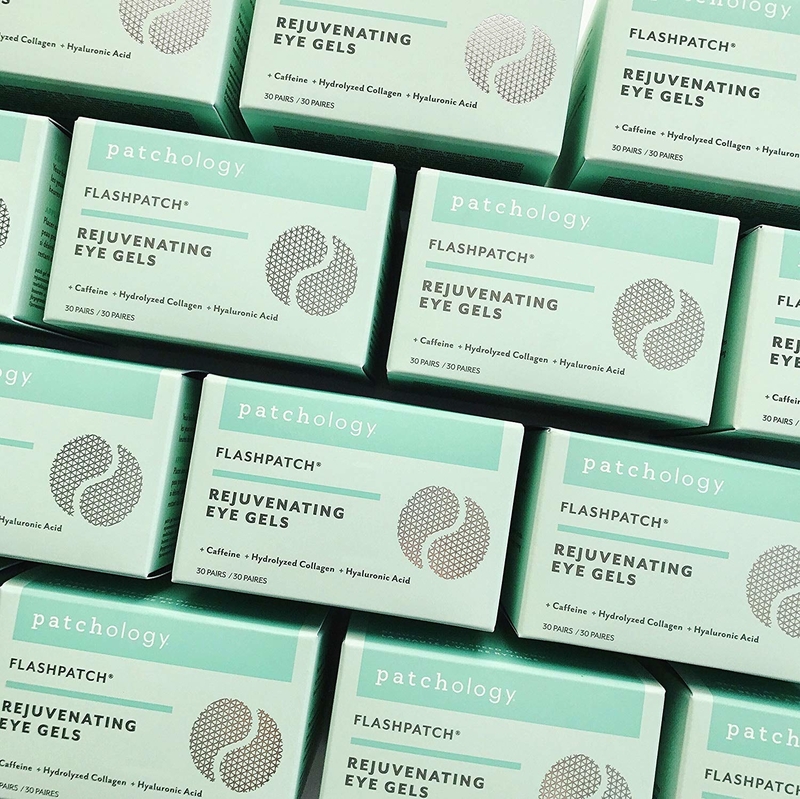 Patchology FlashPatch Rejuvenating Eye Gels and Restoring Night Eye Gels are infused with caffeine and hydrolyzed collagen and only take five minutes to deliver intense hydration and reduce puffiness and deep-set fatigue — hello, wake-up call! 16. EltaMD UV Clear Facial Sunscreen Broad-Spectrum SPF 46 gives sensitive, acne-prone skin a healthy dose of sun protection without feeling thick, greasy, or overall unpleasant — and over 3,000 reviews (with 75% being five-star) don't lie. Promising review: "I found this gem on the Environmental Working Group (EWG) website. Do you know how hard it is to find a skin product that is safe from dangerous chemicals, gentle on sensitive skin, and that despite all this-still works effectively? It's even harder to find a higher SPF sunblock that meets these criteria. 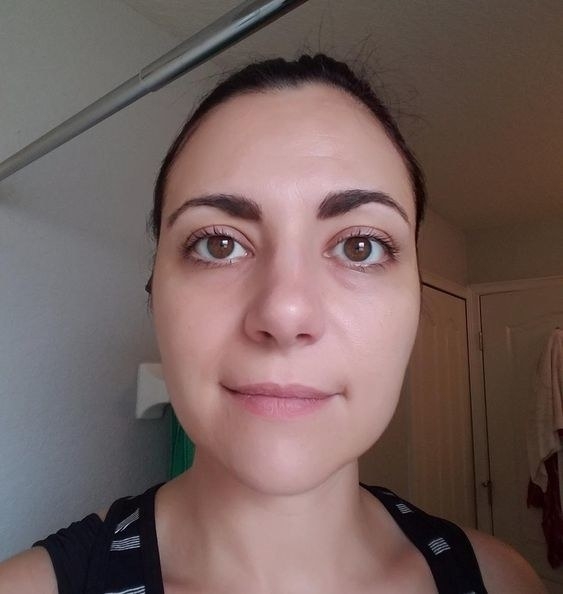 Well, Elta MD has not only delivered on these promises: They offer all this in a formula that looks so natural that it doesn't leave you looking like a ghost or mime. It also applies smoothly to work well under makeup. On top of this, it does not clog my acne-prone pores or dry out my face. It even comes in a tinted version and is made in the U.S.A. What more do you want?? This is my sun protection product for life." —Liz T.
17. 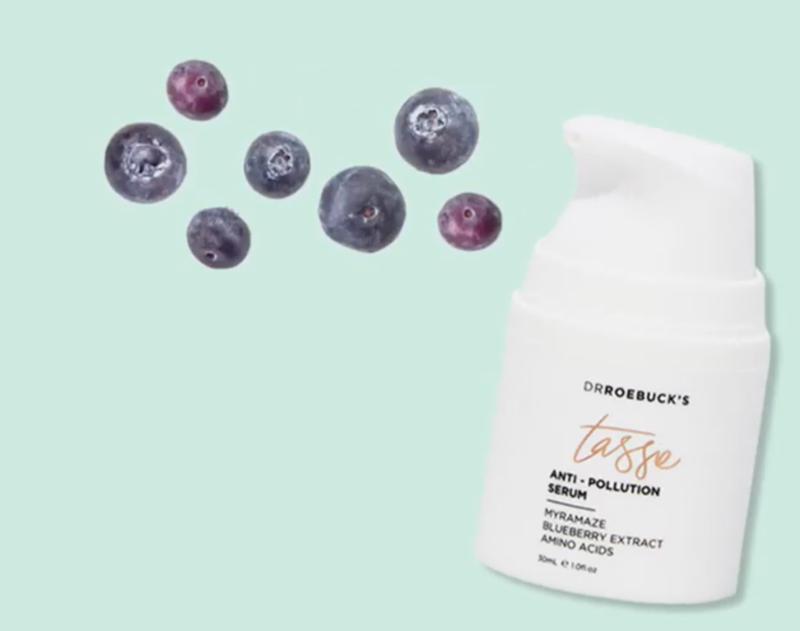 Dr. Roebucks Tassie Anti-Pollution Serum packs in the antioxidants to protect your skin from natural elements, and it's infused with a boatload of natural ingredients: myramaze, blueberry extract, aloe vera, and amino acids to rejuvenate and strengthen stressed skin — hellooo, skin reset! 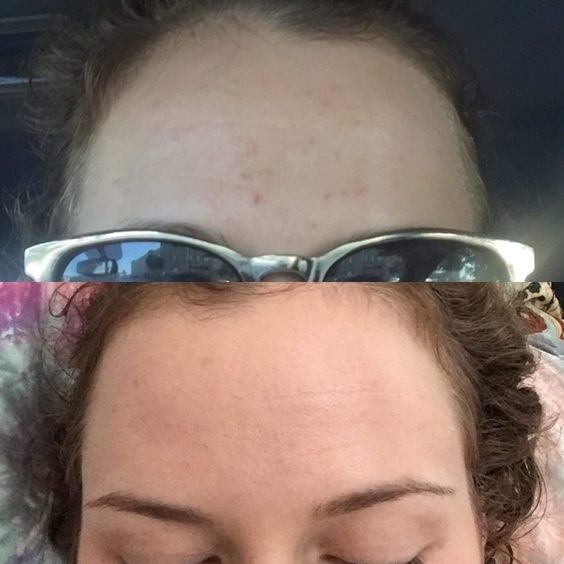 Read Emma's full review to learn more about this awesome serum (#7)! 18. Klorane Floral Water Makeup Remover's star ingredient is cornflower water, which soothes and gently decongests your skin — so your face isn't left red/aggravated/tight, especially if you go in with a water-based cleanser afterwards — while leaving behind zero residue. And of course, its's alcohol-free, paraben-free and fragrance-free! 19. 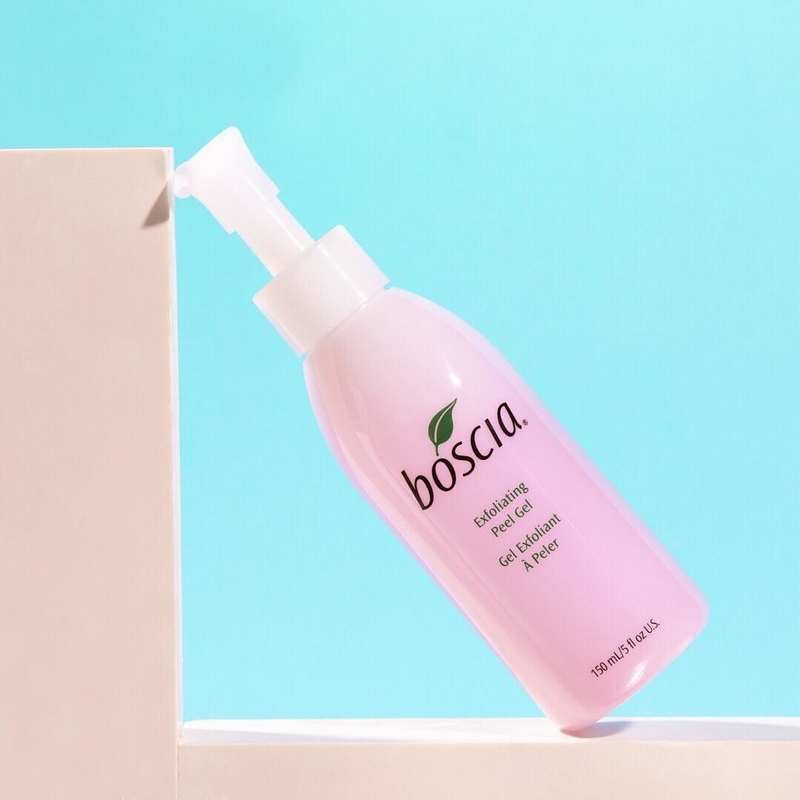 Boscia Exfoliating Peel Gel revitalizes and clears your skin in three (!!!) ways: as a physical peel to remove the outer layer of dead skin using exfoliating molecules, a chemical peel to penetrate deep into skin for in-depth exfoliation using multi-fruit AHAs, and a facial treatment promoting brightening and firmer skin using pomegranate enzymes. 20. 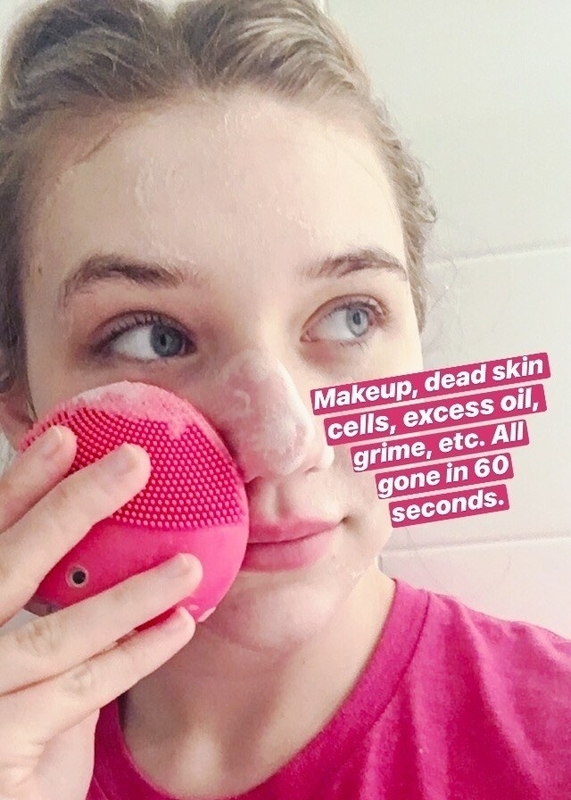 Malin + Goetz Detox Face Mask foams up and cuddles your face in bubbly bliss, which means oxygenating cleansing agents are lifting all the dirt, makeup, and oil off your face — plus, like the picture suggests, there's stable Vitamin C and natural almond extract to help brighten and soothe skin upon getting rid of the preliminary gunk. 21. 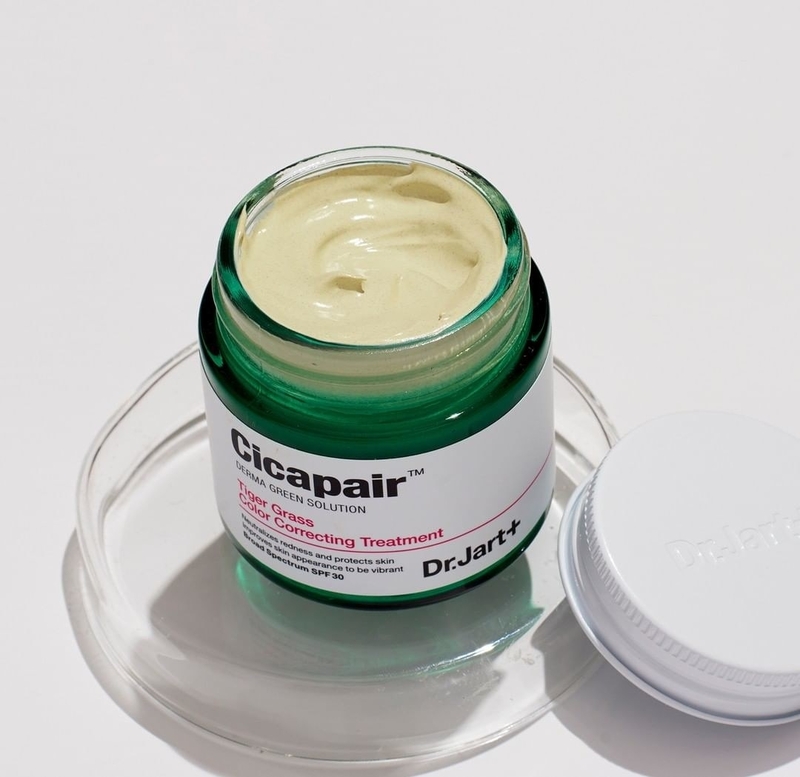 First Aid Beauty Ultra Repair Cream instantly (and long-term) relieves dry, stressed skin with its super-soothing blend of colloidal oatmeal, shea butter, allantoin, and ceramides — it's even safe to use on children and babies, so you can rest easy knowing you're actually treating your skin. 22. 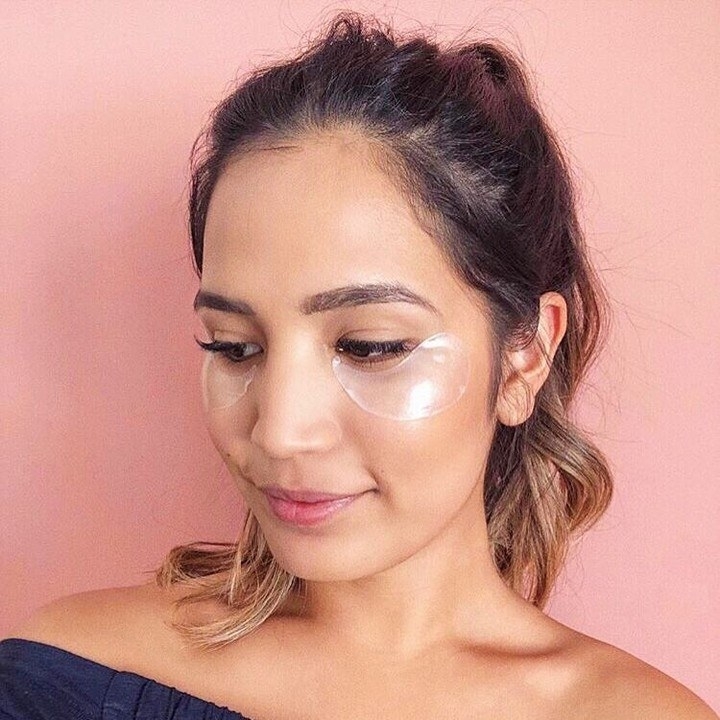 Bliss That’s Incredi-peel Glycolic Resurfacing Pads are basically expert-grade peels filled with texture-improving ingredients like glycolic acid, Vitamin E, licorice root extract, calendula flower extract, and witch hazel — so you can reveal your smoothest skin EVER. 23. iS Clinical Active Serum contains a boatload of pharmaceutical-grade botanicals, like mushroom extract and sugarcane — which to you means effective results, increased cell turnover, improved skin texture and tone, and an overall healthier complexion over time! 24. L'Occitane 20% Shea Butter Hand Cream coats your hands in a delicious blend of shea butter (how'd you guess? 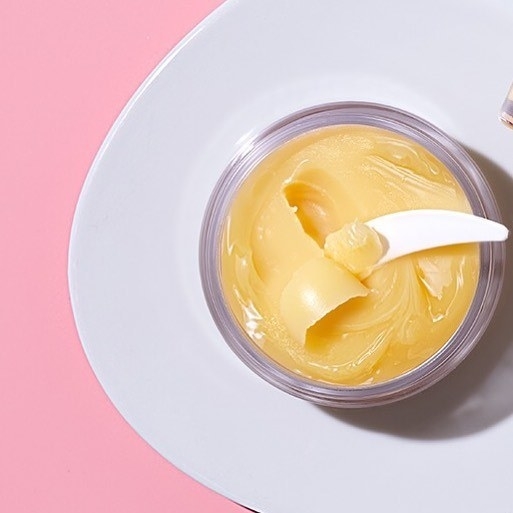 ), honey, almond extracts, and coconut oil, but absorbs quickly and doesn't leave your hands feeling oily or greasy — so you can actually go about your day with your newly soft hands. 25. H2O+ Beauty Oasis Ultra Hydrating Cream quenches super dry, parched skin with a fast-absorbing water-gel proven that's clinically proven to double the moisture in your skin — plus, it's free of parabens, phthalates, and mineral oil. Water lily and sea grass extracts help condition and promote your skin's ability to retain moisture, and it also has illuminating pigments for a healthy glow. You could say it goes above and beyond the regular call of duty for a moisturizer. 26. Sunday Riley Good Genes is your all-in-one skincare hero: it's a lactic acid treatment that helps to exfoliate dull skin, unclog pores, and make skin look smoother and fresher — there's a new skincare sheriff in town! You can also pick up their Game Changer Kit, which comes with full-sized versions of Good Genes *and* Ceramic Slip Cleanser, for $112!